High Quality Content by WIKIPEDIA articles! High Quality Content by WIKIPEDIA articles! Amerigo Vespucci (Florence, March 9, 1454 Seville, February 22, 1512) was an Italian explorer, navigator and cartographer. The continent of America is popularly believed to have derived its name from the feminized Latin version of his first name. 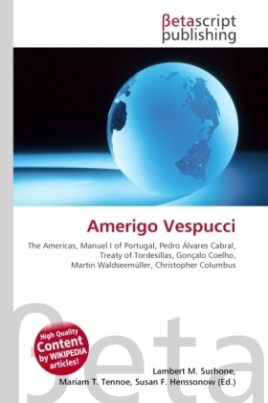 Amerigo Vespucci was born and brought up by his uncle in the Republic of Florence in what is now Italy. Vespucci was born in Montefioralle, a small village near Greve in Chianti, south of Florence.